The periodic table of elements is perhaps the most common thing that students in science classes will see displayed on the wall. 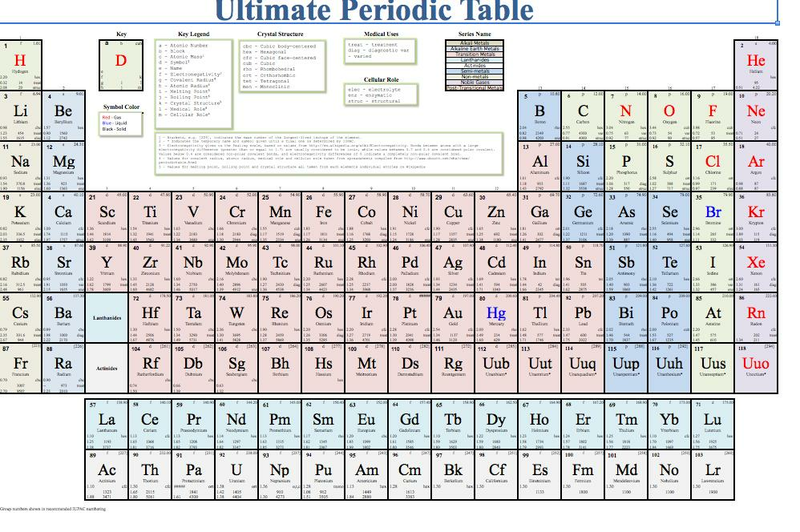 This table presents all of the known elements, and it provides information such as their names, atomic weight, whether the elements in question are natural or man-made, and a variety of other facts that might all be on the test. Whether students are in high school or college, this table is going to remain a constant in any class that will involve chemistry. If you need to memorize the periodic table, or you just want to have a copy of it on your wall next to your desk so that it’s always right there and ready for access, you don’t need to mess around with the Internet, or with drawing out your own table. While it’s possible to order a poster, or to search around for hours until you find that perfect picture with just the right image quality, all you really need to have on your side is Microsoft Excel, and the proper file to print. Once users have downloaded the file they need, all that’s left to do is print it out. Once the periodic table is printed out it can be drawn on, marked up, torn apart, and there’s always another one that’s just a click away. All of the formulas for display are pre-loaded, so there’s nothing that the user has to do aside from open the file and print the proper display page. You could laminate it to make it a permanent fixture of your work area, or you could just fold it up and bring it to class until the page wears out and you can get a new one. It’s completely up to you, the user.